Looking for a Block Paving Cwmbran based expert then look no further. 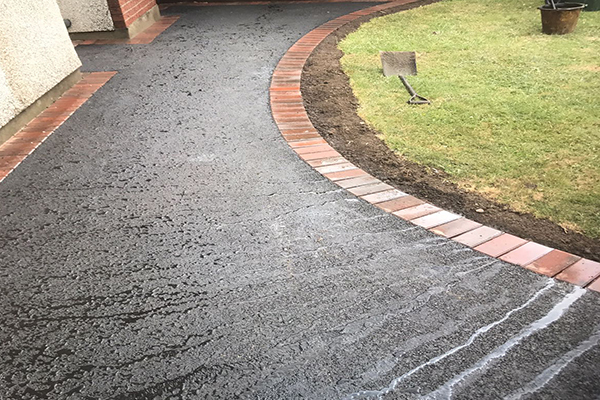 Harlequin Driveways are a local business with years of experience providing a wide range of trusted and cost-effective services from Block Paving, Tarmac Driveways and Paving to Landscaping and Patios within Cwmbran and throughout the surrounding areas. We are here to help you find an easy solution to any driveway or landscaping requirement you may have. We want to offer you excellent customer services from start to finish which leave you satisfied with the work accomplished, so as a local company you can expect our services to be delivered with a friendly approach and completed with great care. At Harlequin Driveways Cwmbran over 70% of our customers are recommended to us by word of mouth or repeat clientele. Our highly experienced and trained team use only the best products and materials available to them on all projects; ensuring you are given the best treatment and are satisfied with the finished result. At Harlequin Driveways, we supply Landscaping and Patios to Block Paving and Tarmac Cwmbran based services across Cwmbran and to neighbouring towns. Our friendly, dedicated and highly qualified team have years of experience providing domestic and commercial properties with competitive pricing for our wide range of trusted services. Our team at Harlequin Driveways understand that you, our customers, are always looking for a way to improve the overall presentation and value of your home or property, we believe that the exterior needs to look just as good as the interior so no matter how big or how small, we can help find a perfect solution to all of your needs whether it is driveway or landscaping related. To find out more information on the services we are providing across Cwmbran and throughout the surrounding areas then give us a call today.We provide free no-obligation quotes as well as professional advice to all of our customers. We are available Monday to Saturday so if you are in need of a Block Paving Cwmbran based expert then get in touch.